From intermediate to advanced level, this highly acclaimed course teaches you how to "play what you hear". You will learn the jazz vocabulary and understand how to improvise using this vocab over many different harmonies. You will learn to hear major, melodic minor and blues scales and learn harmony and how to see it all very simply on the fretboard. 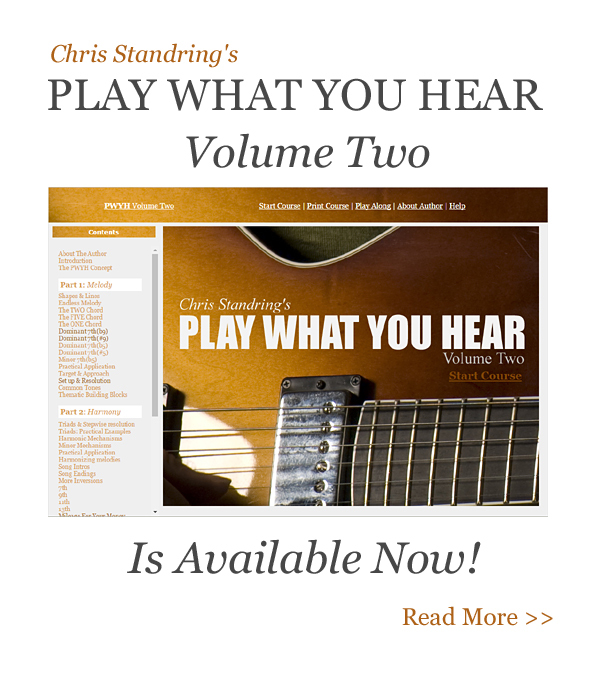 Over 300 audio examples and tons of play along tracks.